The following civilian Executive Nominations for the State Department and USAID were confirmed by the Senate yesterday, December 24, 2009. You will note that two nominees subjected to a lengthy Senate hold, Thomas Shannon (for Brazil) and Alan D. Solomont (for Spain) have now been confirmed. Dr. Rajiv Shah’s nomination to be USAID Administrator was also confirmed. Alberto M. Fernandez, of Virginia, a Career Member of the Senior Foreign Service, Class of Minister-Counselor, to be Ambassador Extraordinary and Plenipotentiary of the United States of America to the Republic of Equatorial Guinea. Leslie V. Rowe, of Washington, a Career Member of the Senior Foreign Service, Class of Minister-Counselor, to be Ambassador Extraordinary and Plenipotentiary of the United States of America to the Republic of Mozambique. Mary Burce Warlick, of Virginia, a Career Member of the Senior Foreign Service, Class of Minister-Counselor, to be Ambassador Extraordinary and Plenipotentiary of the United States of America to the Republic of Serbia. James B. Warlick, Jr., of Virginia, a Career Member of the Senior Foreign Service, Class of Minister-Counselor, to be Ambassador Extraordinary and Plenipotentiary of the United States of America to the Republic of Bulgaria. David Daniel Nelson, of Minnesota, a Career Member of the Senior Foreign Service, Class of Minister-Counselor, to be Ambassador Extraordinary and Plenipotentiary of the United States of America to the Oriental Republic of Uruguay. Eleni Tsakopoulos Kounalakis, of California, to be Ambassador Extraordinary and Plenipotentiary of the United States of America to the Republic of Hungary. Anne Slaughter Andrew, of Indiana, to be Ambassador Extraordinary and Plenipotentiary of the United States of America to the Republic of Costa Rica. Rajiv J. Shah, of Washington, to be Administrator of the United States Agency for International Development. Dear readers — may your holidays be merry and full of joy in the company of loved ones and good friends. 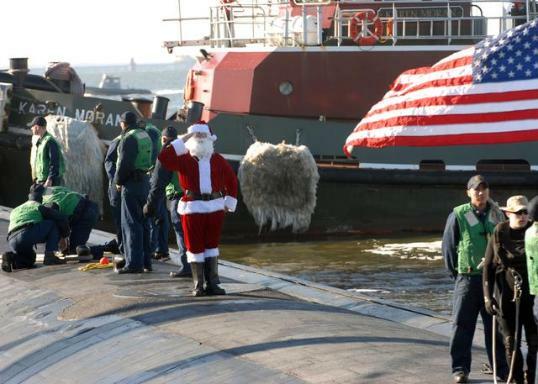 Our thoughts and good wishes also go to our men and women in uniform and civilians in the war zones, and our Foreign Service personnel on unaccompanied assignments in difficult places around the world. May your holidays be quiet and peaceful; and may the universe keep you safe wherever you are! Veterans’ memorials and gravesites across the nation will be adorned with remembrance wreaths on Dec. 15 through a program known as Wreaths Across America. 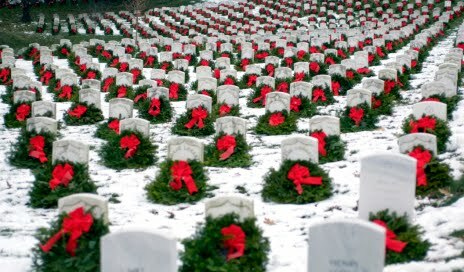 Some 32,144 wreaths are scheduled to be placed in cemeteries and memorials on that day. (U.S. Air Force photo/Master Sgt. Jim Varhegyi) .